NOTE: We who are part of the resistance need to be contacting our US lawmakers to support the passage of a bill to resolve the DACA (Deferred Action for Childhood Arrivals) issue; and to make our legislators know that we don’t want to witness the president’s firing of the FBI’s Special Counsel Robert Mueller. He needs to able to complete the Trump-Russian probe to his satisfaction. In addition, the current plans for the president to fire the Deputy Attorney General Rod Rosenstein have to be stopped in its tracks, as he needs to be able oversee that the FBI’s Trump-Russian probe proceeds in a competent, professional manner where the “rule of law” is being protected from political partisanship. The republican legislators have to be warned that “We the People” want the so-called Memo developed by the hyper-partisan House Judiciary Committee’s Chair, Rep. Devlin Nunes of California which contains material garnered from highly sensitive intelligence reports, to be reviewed by the Justice department. Rep. Nunes had previously recused himself from the Committee’s Trump-Russian inquiry due to his being exposed for his over the top maneuvers to protect the president. I have been reading a lot of headlines by the left as to how the democrats lost the negotiation battle with republicans to save DACA in exchange for ending the shutdown. I was just watching the MSNBC TV show host AM Joy interview Lawrence O’Donnell of the “Last Word” when he asked the question, when was the last time you heard republican using one line messaging/ talking points thrashing their own leaders? The point is, that when it comes to messaging, the republicans are much more disciplined. 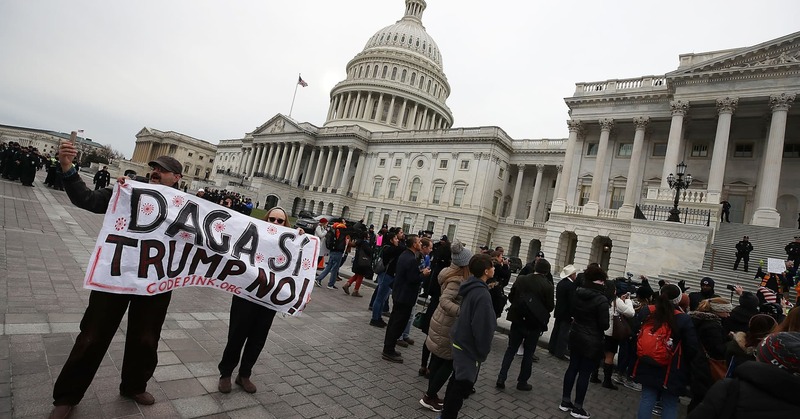 Many of the left accuse Democrats of having caved in too quickly to end the government shutdown after about 3 days with the US Senate’s Majority Leader Mitch McConnell promising only to bring up the issue of DACA (Deferred Action for Childhood Arrivals which is a program to prevent deportation of young adults who came to the US as children with undocumented parents but who know no other country) to be dealt with on February 8, 2018, if it hadn’t already been addressed. I argue the Democrats did the best they could with a lousy hand. The republicans had set the stage and were prepared with their talking points, messaging campaign designed to blame the democrats for the shut down, highlight that it was the democrats fault that the military would not be paid on time, that the democrats would be holding hostage the CHIP (healthcare insurance for children of poor working parents) which was tied to the House’s one month continuing resolution to keep funding the the US government in effect until 2/16/18; and that DACA was never supposed to be part of a short time continuing resolution. The republican leadership had already delegated their surrogates to all the Sunday Talk shows. The democrats had lost the moral high-ground at the start of the shutdown because they were not as prepared to publicly counter aggressively the republican talking points. While it is true that the DACA program is very popular with the American public by 90%, it is also true that the public when polled, did not want a government shut down in order to force the republicans to take action on fixing DACA. Senate Democrats who supported the deal which ended the shut down, believe they have the Senate Majority Leader McConnell boxed in, because he committed publicly to moving a bipartisan immigration bill through the Senate to address the (DACA) Deferred Action for Childhood Arrivals program. This pledge by Leader McConnell sets the outline for the next 2 weeks of negotiations, leading up to the next deadline, on February 8 instead of the original date of 2/16/18, when the government will once again need a spending bill to pass Congress. This is progress. It is my opinion that the anti-immigration faction in the US Congress never wanted to pass DACA and they never would have caved in, as a response to the government shut down. When these lawmakers are confronted by reporters, they all say the they want to resolve the DACA issue because they know that it is very popular with even their voters, but their actions belie their true position. This debate over DACA has also flushed out another truth. It appears that what the anti-immigration faction in the White House and the US Congress really want is the reduction of legal immigration by about 50%. I suspect that there are enough republicans and democrats who do not want to travel down the road of major cutbacks to legal immigration as it is not good policy. Most Americans and major company executives (the donor class) are not in favor of cutting back on legal immigration. An increase in legal immigration would be a catalyst for an economic growth spurt and additional workers are needed to help alleviate the social security tax burden, to keep it solvent for the elderly. This reality may very well be the impetus for a bi-partisan solution. The anti-immigration republicans’ arguments for cutting back on legal immigrants are based too often on conspiracy theories and “fake news,” and out right lies like these republican talking points, “immigrants bring with them an increase in crime” and “many are overly reliant on the US welfare system.” I will debunk these assertions in future blogs. 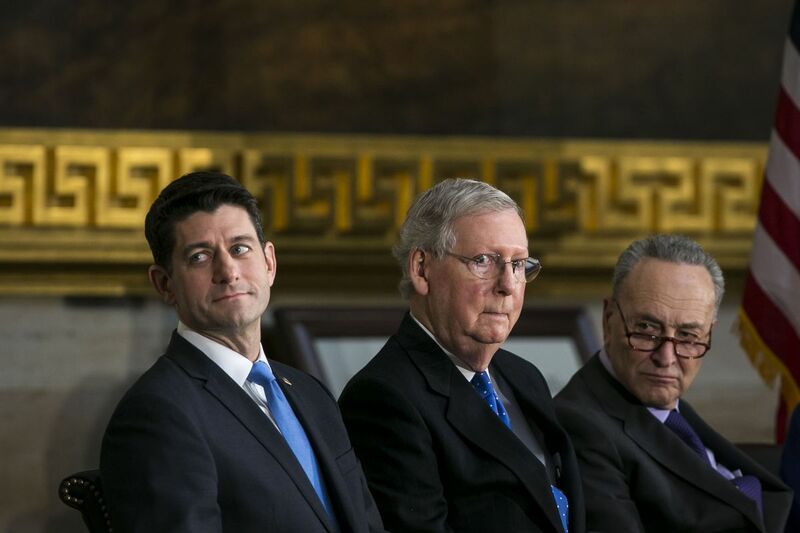 The republicans have already foretold their plan to blunt a democratic Tsunami of wins, as expected on the upcoming November 2018 elections.The republicans were hoping to narrow the democrats’ lead by blaming them for the shutdown. This gives the democrats the prefect slogan: Americans want both a booming economy and decency in our politics. The Senate’s Minority Leader Senator Chuck Schumer likes the script, While republicans are helping the wealthy and corporations; we are fighting for the middle class. 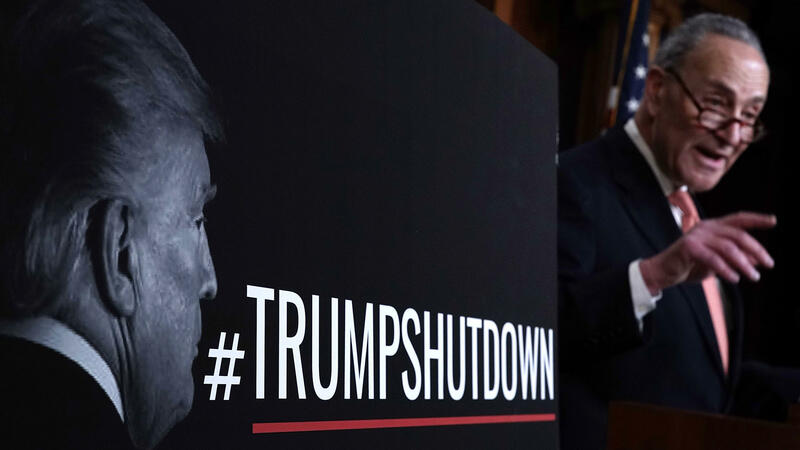 During the shutdown, the republicans overplayed their hand. Republicans were caught on tape outright lying about certain points regarding the government shutdown which can be used in advertisements against them in the upcoming November 2018 elections. These television ads would highlight the republicans’ lack of decency. On the same “Face the Nation CBS show, the House Speaker Paul Ryan compounded his original lie by stating, that the Democratic President Barack Obama delayed pay to the military during the previous 2013 government shut down. He knows better as he voted for the legislation that President Obama signed to make sure that our military men and women did not lose out on their pay. Vice President Mike Pence in front of troops on the front line in the Middle East, complained about how the democrats were responsible for the them missing their pay. Instead of talking to the troops to lift their spirits and letting them know that America appreciates their service, the Vice President was using this time to share a pre-planned talking point. Little did he know that every military media outlet including the “Stars and Stripes” had been reporting a counter story. Why are republicans in the US Congress acting like an arm of the Russian Government? The GOP have done virtually nothing to prevent a repeat in 2018 of what happened in 2016 when Russia hacked into US computer systems tied to the US presidential elections, and then launched a full throttle campaign of disinformation and propaganda in the US designed to interfere with our elections. The US Congress did successfully legislate a US division within the US State Department to counteract Russian propaganda which took forever to get funded but this department has yet to be staffed. The US Congress did enact sanctions against Russia as a response to its 2016 interference in US elections but as of January 30, 2018, the president has yet to implement it. Russian bots have been consistently backing the republican political maneuvers by inundating US social web sites hashtags like #schumershutdown and #releasememo. Good information and good points all, Gronda. So many lies, compounded with more lies, and then topped with another dollop of lies. I LOVE your title, by the way! Hugs, my friend! Their lies and its timing tells me their scripts had been written for them and choreographed at an earlier date. 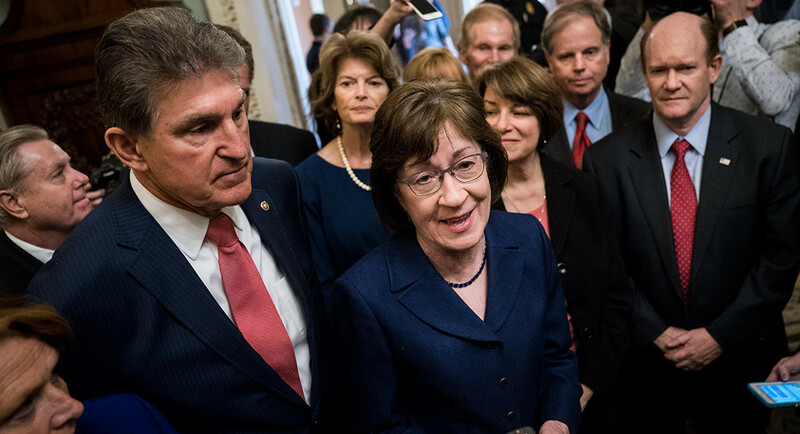 They were counting on peoples not being aware of the motion by Senator Claire MCaskill soon after the shutdown was in effect. The republicans never mentioned that they did not even have enough republican votes (46) to prevent the shutdown. Thanks for your gracious feedback, This is getting to be a bit much. Thank you for a detailed report into the complex moves and counter-moves going on.